If you can obtain data from one OPC Client, but not other OPC Clients at the same time verify that the OPC Server identity is set to Interactive User in the DCOM Configurator. View the steps listed below. 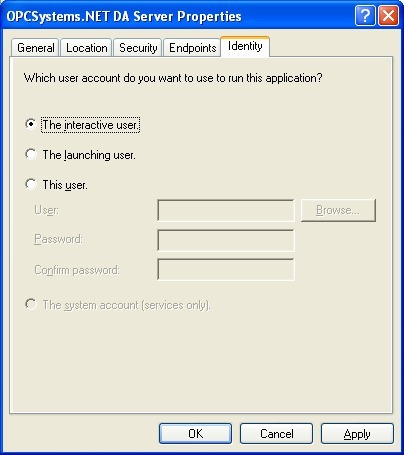 If you are using the OPTO 22 OPC Server you will need to do this step after installing their OPC Server. 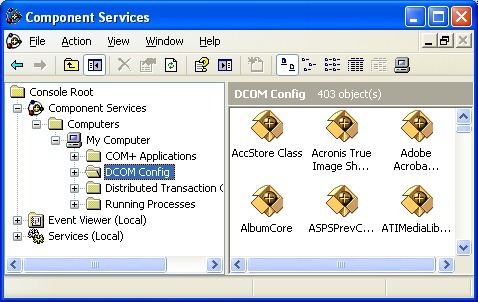 Start the DCOM configurator by selecting run and type DCOMCNFG and select OK. Select Component Services, Computers, My Computer, and DCOM Config. Select the OPC Server you are connecting to in the right window and right click to select Properties. 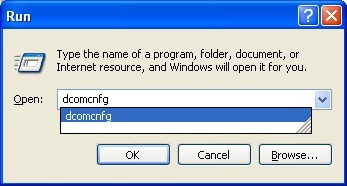 Restart the system and verify using the Task Manager under Processes that only one instance of the OPC Server runs with multiple clients connected to it.